• Double Rooms - 2 twin beds plus 1 sofa bed; carpet or tiles; individually-controlled air conditioning in the period 15.06 - 15.09; satellite TV; bathroom with bathtub and hairdryer; safety deposit box (with local charge); mini fridge; balcony or terrace. • Junior Suites – a deluxe room similar to the double room, but more spacious, with the same facilities. Minimum occupancy: 2 adults. • Suites – consisting of 2 separate rooms: bedroom & living room, with the same facilities. Minimum occupancy 2 adults. Baby cots (0-2 y) available, free of charge, for all room types. • 1 Disco bar in Holiday Village. alcoholic drinks, and hot drinks. 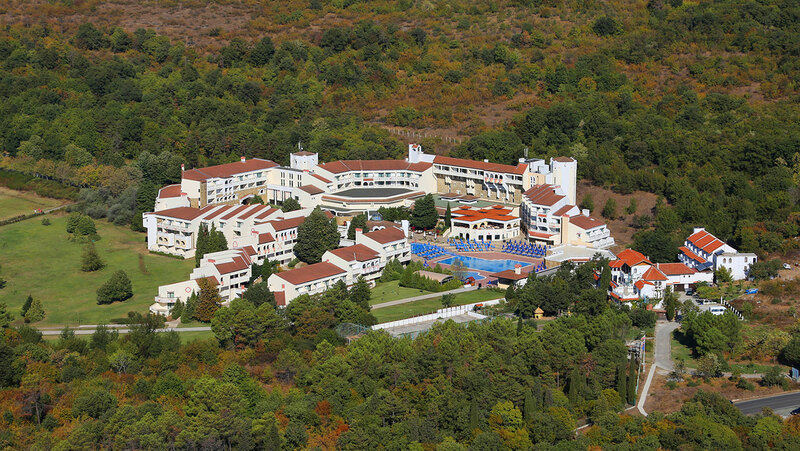 sun-beds, showers, changing cabins, towel service, water sport station and medical station. 2 kids clubs in Pelican and in Marina Beach with groups for 3-6 years, 7-12 years and teenagers 13-16 years. kids animation, kids dinner, children play grounds, kids pools, kid’s video, mini disco, children show. Amphitheater with evening show programs in Holiday Village area; disco; pool games: aqua splash, shuffleboard & water polo; dance courses; zumba, boccia, darts, bingo games; Cocktail games, Club Dance; Тhemed parties: Beach, Pool, Aloha, Toga, White, International etc. • SPA centre in Marina Royal Palace: fitness, massages, hairdresser, manicure and pedicure, cosmetics, solarium etc. Pelican with capacity of 30 people. - Pets are not allowed in the Resort. - The “A-la-carte” restaurants are open 6 days a week. 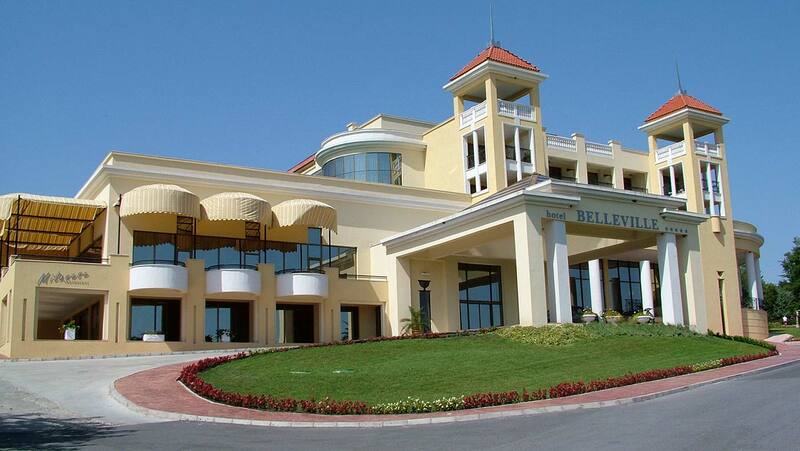 the main restaurant, the lobby bar, the indoor and outdoor pools in “Marina Royal Palace”. 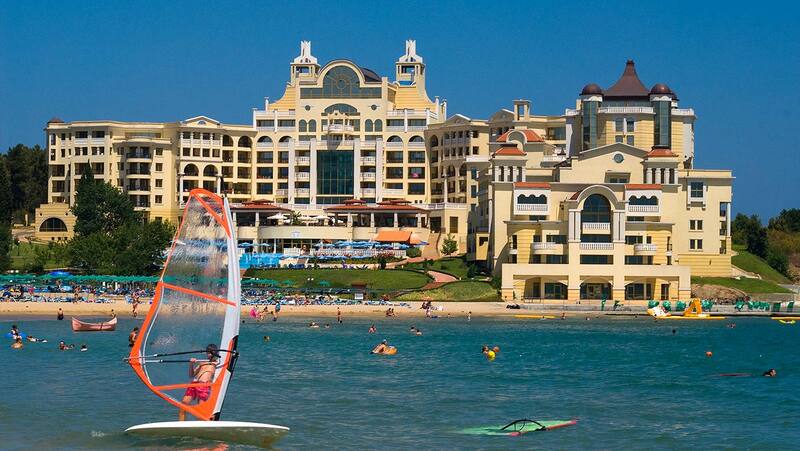 - The guests of “Marina Royal Palace” can use all the facilities in the Resort.